There isn’t a whole heck of a lot to talk about here. The wide receiving corps for the 2017 Chicago Bears was, in a word, horrible. But, like every position on the team they deserve a review, so we are going to give them one. 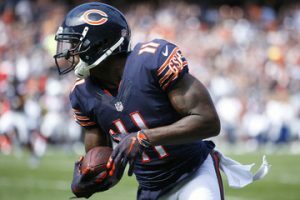 Here is a quick review of the Bears’ wide receiver position in 2017 with stats and a prediction as to where each player could end up at this offseason. Dontrelle Inman-The Bears brought Inman into the fold in the middle of the season to help try to stabilize a bleeding wide receiving corps. He pretty much became their best player at the position but wasn’t used often. Altogether, he was targeted 40 times catching 23 of those targets for 334 yards with an average per catch of 14.5. Inman had just one touchdown and his longest catch was a 26 yarder. He averaged around 41.8 yards per game. The future for Inman being a Chicago Bears isn’t exactly clear. Chicago gave up a seventh-round pick for him and he’s not under contract any longer when free agency begins. With a new coaching staff, the Bears are going to have to make a decision on him. He should be kept and could be retained as a slot receiver or a number two depending on who the Bears bring in. Joshua Bellamy-Bellamy had an up and down season, mostly down, and this favorite of former head coach John Fox may be heading out the door. His contract ends when free agency begins and you can almost bet he won’t be back. On the year, Bellamy had 46 total targets catching 24 of those passes for 376 yards. His average yards per catch was 15.7. He had just one touchdown while catching 52.2% of the balls thrown his way. Bellamy did miss one game. 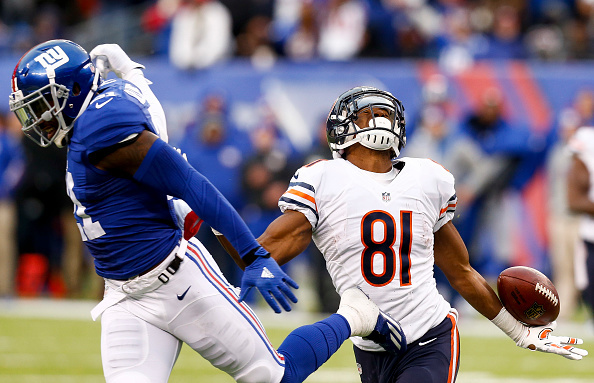 I think that Bellamy is not as good of a receiver as the Bears thought he was. This new regime is likely not to keep him unless they can’t find any other talent to come in and supplant him. The safe bet is that they don’t re-sign him and let him walk in free agency. Markus Wheaton-The Bears brought Wheaton in on a two-year deal and he did not deliver. Some of what stunted Wheaton’s growth with the Bears was not quite his fault as injuries and struggles at the quarterback position caused problems. Then you have his inconsistency catching the football at times. Combined, these issues made for a bad season for Wheaton. Wheaton played in a total of 11 games with no starts. He was targeted 17 times and had just three catches for a total of 46 yards. He averaged 15.3 yards a catch, had no touchdowns and his longest catch was 22 yards. There is still one year left on Wheaton’s contract and, perhaps luckily for the Bears, they build a one year and out clause in his contract that would leave them with just $750,000 in dead cap space. Should the Bears have a sour taste in their mouth from 2017, which they probably do, then I would think that Wheaton could become an ex-Bear when free agency starts. Kendall Wright-Wright was somewhat of a bright spot in the receiving corps if you want to call him that. He was somewhat reliable, ran good routes and was Chicago’s leading receiver for the season. Wright was signed for just one year, so the Bears have a decision to make as to what they should do with him when free agency starts. Last year, Wright played in all 16 games with four starts. He was targeted 91 times and caught 59 of those passes for 614 yards. His average yards per catch was 10.4. He scored one touchdown and had a catch percentage of 64.8. 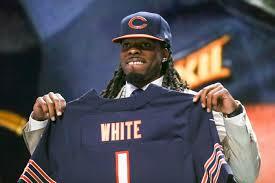 What happens with Wright will depend on what happens with upgrades Chicago does to the wide receiving corps. He was the best of a bad group of receivers and may still make the cut in 2018 but not as a number one receiver. Wright could play in the slot with a couple of faster receivers on the outside. He could have a role in the offense but it depends on what Nagy wants to do with his offense. Remember, it’s going to be his baby so we will see a lot of changes in personnel. Consider Wright’s status up in the air. There were some other players at receiver who ended up on injured reserve, the practice squad or have signed futures contracts. Here is a little bit of information about each. 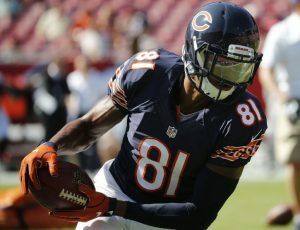 Cameron Meredith-Meredith was to be the Bears’ number one wide receiver, but he was hurt in preseason and missed the entire year. Let’s see what role he plays in the offense when he gets back and is healthy. Will there still be a role for him when he returns? With a new coaching staff, will Meredith even be retained? We will see. Kevin White-Some are saying that Nagy’s arrival in Chicago could be good for Kevin White. But Nagy cannot help the fact that White is perpetually injured. There is nothing that the head coach can do for White if White’s body doesn’t allow him to play football. 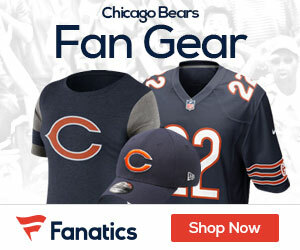 He is in the last year of his rookie contract so if the Bears decide to retain him, he is going to have a lot to prove. Will Ryan Pace and Nagy give the very first draft pick of the Pace era one more chance? Nelson Spruce-Spruce, a two-year player, was on the practice squad heading into the close of the season. Spruce has good hands and had a lot of college production. He can run good routes and is somewhat in the mold of Tom Waddle. What he doesn’t do well is run with great speed and get by opposing cornerbacks. He is an interesting developmental prospect who will get some looks in training camp. The Bears have three receivers that are signed to reserve/futures contracts. Tanner Gentry is one of them. He spent some time on the active roster in 2017 catching three passes for 35 yards and no touchdowns. He played in four games and was on and off the team and the practice squad for a better part of the year. It will be interesting to see what happens with him over the course of the offseason and training camp. DeMarcus Ayers-Ayers, a first-year player out of Houston, is a guy that the Bears picked up and will probably have to show his stuff in training camp. Ayers comes with the ability to giver cornerbacks fits when trying to guess where he is going to run his routes. Speaking of which, he runs decent routes and can even return punts. What he doesn’t do well is have great overall size and will struggle with getting off the snap quickly and efficiently. Let’s see how he does in training camp though. He might have some value. Mekale McKay-The Bears picked up this first-year player after the season ended and plan to try him out in training camp. McKay is a huge receiver coming in at 6’5” weighing 210 pounds. He hails from Cincinnati (college) and comes to Chicago after not doing much in his first NFL season. His size is his biggest attribute while his blocking ability is another. McKay needs to run better routes and work on his hands. He should be there when training camp starts for the Bears this summer.